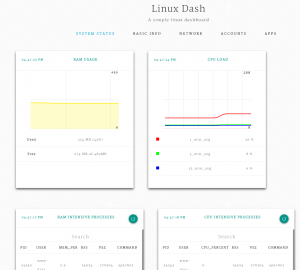 A low-overhead monitoring web dashboard for a GNU/Linux machine. 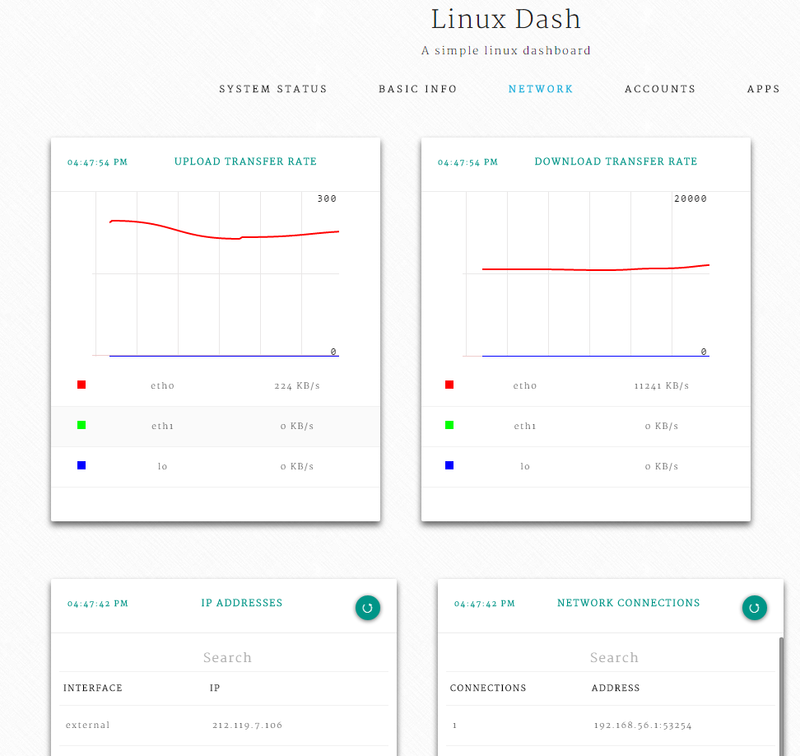 Simply drop-in the app and go!.Linux Dash's interface provides a detailed overview of all vital aspects of your server, including RAM and disk usage, network, installed software, users, and running processes. 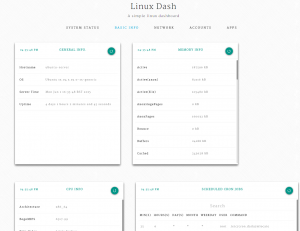 All information is organized into sections, and you can jump to a specific section using the buttons in the main toolbar. 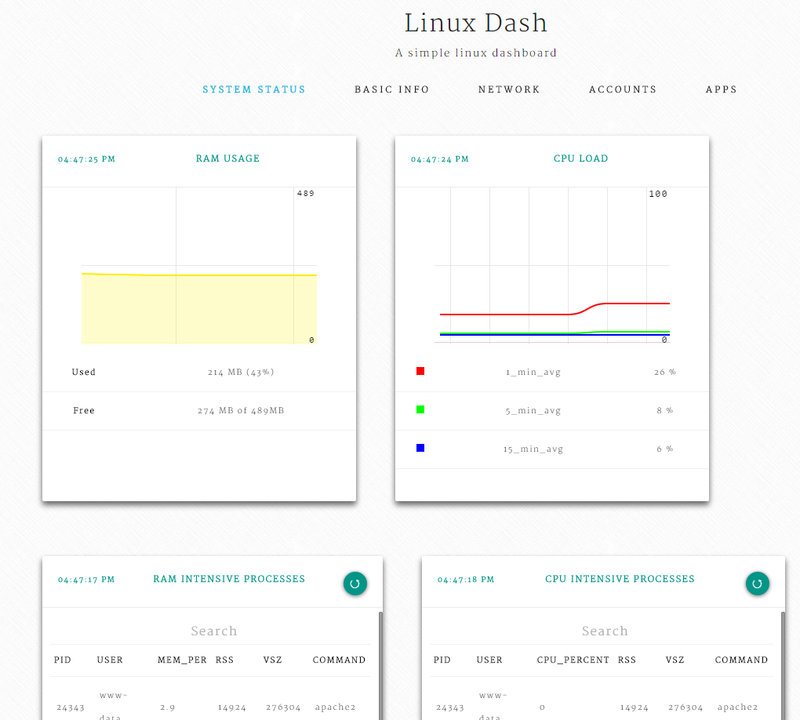 Linux Dash is not the most advanced monitoring tool out there, but it might be a good fit for users looking for a slick, lightweight, and easy to deploy application. 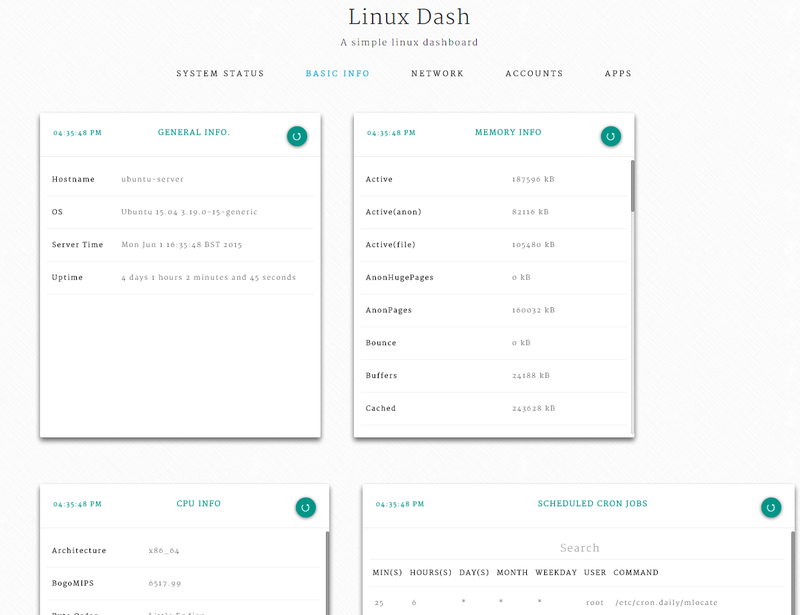 This program looks good but I have used webmin for a long time and it seems to be a lot more feature rich than this software. 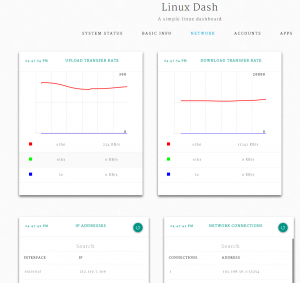 Does dash have an big advantages over webmin?